The Remix Module is a simple tool that randomly fills out mask shapes with pictures from customer’s gallery. It is a simple button that appears on the Upload, Facebook and Instagram Photo tabs and when clicked, uses the photos in that collection to fill out any mask shape that has a chain value remix across all the pages in the current design. 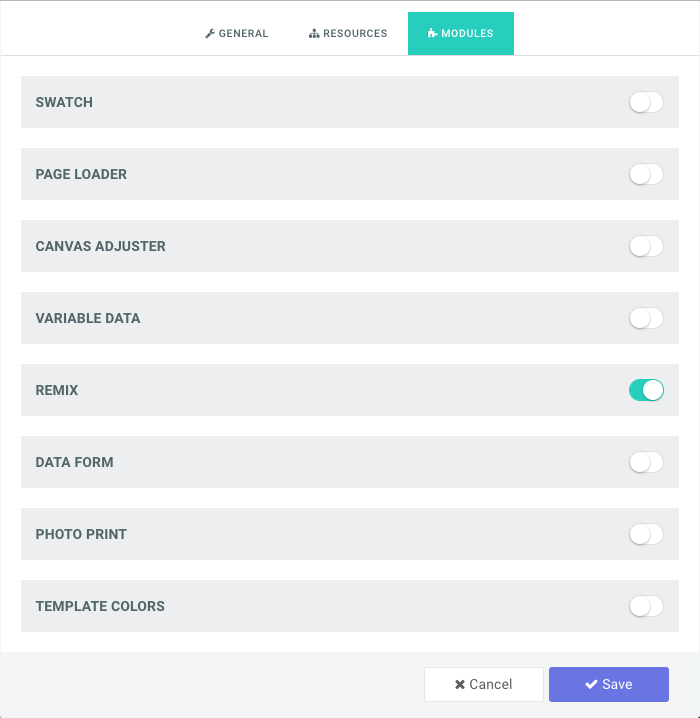 To use this feature, simply edit your design or create a new one. Place a mask shape on the design canvas. A mask shape is a simple shape with just paths. All items in the Plain Shapes collection can be used as masks. Then check the Admin tab on the left and enter in the value of “remix” in the chain input. Repeat this process for as many masks you want to be in the collection, even across pages. Save your design and enable the Remix Module for that design in the design configuration window under Modules tab.